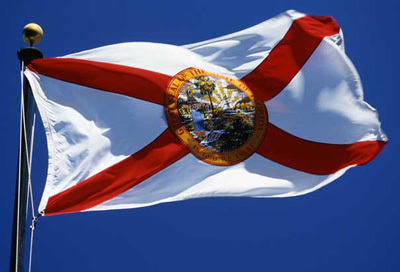 Commemorate a special occasion or display your patriotic pride, with an official flag of the State of Florida or United States of America flown at the state Capitol. An official certificate, with a short personalized message accompanies each flown flag. All flags are 100% made in the U.S.A., are 3' x 5' in size, and are of commercial grade. To purchase a flag that has been flown over the state Capitol, you may fill out the form below or you may choose to complete the form with our sales associate at any of our three Museum of Florida History Gift Shops or phone us at 850.245.6396 for assistance. Payment must be made in advance. No returns are accepted. No sales tax. Membership discount does not apply to this item. Shipping and handling will be added to your purchase. Flags are not flown on weekends, holidays, or during inclement weather.